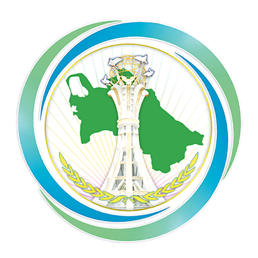 Active preparation to the elections of the Mejlis deputies, members of the People’s Council and Gengeshys to replace the ones, which finished their service, on March 31 is carried out in Turkmenistan. As it was informed according to the elective legislation, the nomination of the candidates has started on January 30. Sessions on the nomination of representatives of the Democratic Party, the Party of Industrialists and Entrepreneurs and the Agrarian Party as well as groups of citizens are held all around the country at present time under social and political activity. The most deserved candidates to the legislative, local administration and self-governing authorities of the country are nominated delegated at these meetings. It is worth mentioning that all nominated candidates are the citizens, which has high authority, experienced specialists involved in different spheres of state and social life. Unlimited number of aspirants is allowed according to the Electoral Code. Several candidates are nominated to one seat in all electoral districts, which corresponds with the principles of alternativeness. Participation of national observers will support the transparency and impartiality of the election process. The nomination of the candidates is ongoing on the background of high activity of the electorate, which is mainly supported by the work with the population organized at sites by public organizations and representatives of the government authorities of all levels. These democratic principles are to provide the election of deserving people, which are honest, hard-working, with good organizational skills and active civil position, who intend to put all knowledge and skills for the implementation of large-scale social and economic programmes aimed at the prosperity of the country, to the Parliament and local authorities.